I have had some kind of sickness/infection ALL week and I'm tired of it! Maybe if I get mad at "it", I'll start feeling better! I certainly have gotten a lot of sleep over the past week because it knocked me on my backside. But enough about that. 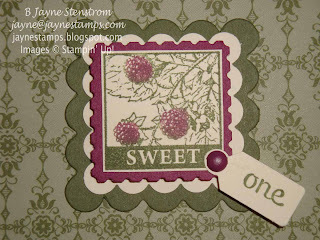 I have another Pretty Postage card sample to share with you today. I got the basic layout from somewhere (of course I can't quite recall) but I changed it up a little bit. 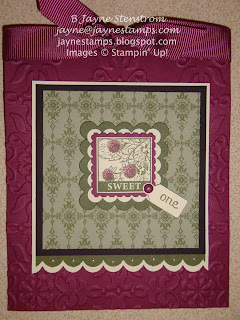 Can you see the Basic Pearls on each scallop at the bottom? I liked the little extra they added. 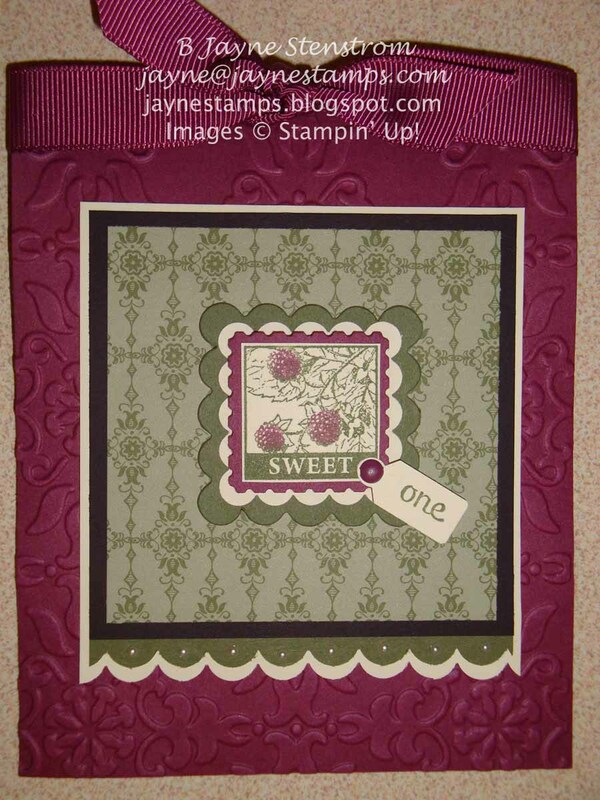 Here's a quick tip we learned at one of Stampin' Up! 's Conventions. I inked up the entire image with an Always Artichoke die pad, then took one of our Blender Pens and took the color OFF of the berries. 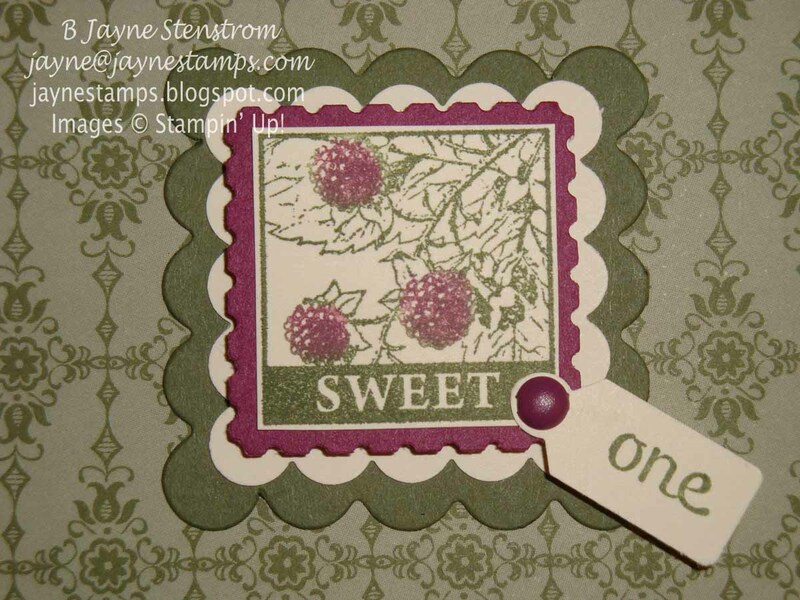 I then took a Rich Razzleberry marker and colored the berries in before stamping! What do you think?